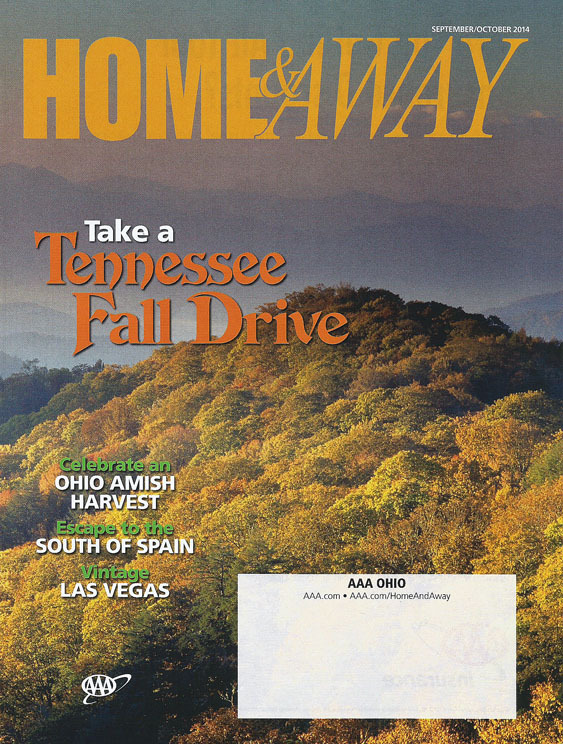 With plenty to see and do, east Tennessee makes it easy to volunteer for a leisurely drive. From music and history to spectacular scenery and tasty Southern treats, the eastern half of The Volunteer State has something to please most travelers' tastes. Several logical stops from the Bristol area in the northeast along Interstates 81 and 40 to Nashville--before heading south through Franklin and east to Chattanooga and the gorgeous Great Smoky Mountains--make a loop around half the state an easy, enjoyable excursion. Located in Tennessee's northeast corner; the tri-city area of Bristol, Kingsport, and Johnson City is a great starting point. Area attractions include: Bristol's new Birthplace of Country Music Museum; Bristol Motor Speedway, home of NASCAR races and more; Kingsport's Warriors' Path State Park, which features Darrell's Dream Boundless Playground, and Jonesborough's International Storytelling Center (host of the National Storytelling Festival Oct. 3-5). History buffs may want to explore Greenville's Andrew Johnson National Historic Site to learn more about the nation's 17th president. Next stop: Knoxville. Nestled in the foothills of the Great Smoky Mountains, the city offers an eclectic mix of natural beauty, family attractions and lively entertainment. Visitors can enjoy exhibitions at Knoxville Museum of Art and live music at Preservation Pub on Historic Market Square in the heart of downtown. They can also stop by the Knoxville Visitor Center for WDVX's Blue Plate Special radio show, performed Monday through Saturday from noon to 1 p.m.
Travelers can stretch their legs at the 300-acre Ijams Nature Center, which offers hiking, biking, canoeing, and other activities. For a taste of Knoxville's dining scene, foodies can head to Market Square's Tupelo Honey Cafe or Windows on the Park, which overlooks the iconic Knoxville Sunsphere tower. Farther west, the charming small town of Rugby (with many historic buildings and great dining at Harrow Road Cafe) is well worth the diversion before continuing toward Nashville through the Upper Cumberland region. The area is dubbed the Golf Capital of Tennessee, but there are plenty of activities for non-golfers, too. Popular attractions include the historical Cumberland County Playhouse in Crossville; the headquarters of the World's Longest Yard Sale in Jamestown; and the T.B. Sutton General Store in Granville, just off I-40, which hosts bluegrass performances each Saturday. Visitors should plan to spend several days in Tennessee's capital, where nightlife, shopping and fine dining are easy to find. Nashville's numerous highlights include its vibrant downtown entertainment district, the Country Music Hall of Fame and Museum, neon-lit Honky Tonk Row, the new Johnny Cash Museum and the Grand Ole Opry. Elvis Presley fans will want to check out the famous RCA Studio B, where the music legend recorded some of his biggest hits. In 2012, the recording studio was placed on the National Register of Historic Places. Of course, there's more to Nashville than music. Other options include Frist Center for the Visual Arts; the Greek-Revival Capitol perched on a downtown hilltop; the Parthenon in Centennial Park (an art museum housed in a full-scale replica of the original in Athens, Greece's original); Cheekwood Botanical Garden & Museum of Art; and historical Belle Meade Plantation, which includes a winery. Considered one of the nation's hotteest food towns, Nashville has plenty of good eats. Notable restaurants include Husk Nashville, The 404 Kitchen in The Gulch neighborhood, Rolf and Daughters in Germantown, and Hutton House's 1808 Grille near Vanderbilt University. When it's time to unwind over a good drink, travelers should grab a seat at The Patterson House, a speakeasy-style artisanal cocktail bar. It's a straight shot down Interstate 65 around historic Franklin (with a great Main Street, Carnton Plantation, and Civil War history) to U.S. Highway 64 and the road to Chattanooga. Just east of Fayetteville, travelers should head north on state Route 50 to the pretty town of Lynchburg for a brief Tennessee history lesson. Lynchburg is the fabled home of Jack Daniel Distillery, America's oldest registered distillery. Visitors can explore the whiskey-making process on a tour; as well as purchase varied whiskey options and more. Hungry travelers can indulge in a sweet treat at MoonPie General Store or savor a hearty meal at Miss Mary Bobo's Boarding House. Eastbound drivers will likely want to connect with Interstate 24 to head into Chattanooga (U.S. 64 becomes I-24 for this stretch). Chattanooga has become one of the region's top travel destinations. Surrounded by mountains, the aptly nicknamed Scenic City features the Tennessee River running right through downtown. Highlights include a revitalized riverfront, the Tennessee Aquarium, Hunter Museum of American Art and Tennessee River cruises onboard the Southern Belle riverboat. A stop in Chattanooga should also include a visit to Ruby Falls, the 145-foot-high underground waterfall at Lookout Mountain, located just a few miles from downtown. The loop back to east Tennessee continues by taking U.S. highways 411 and 441 to explore the sights around Sevierville, Pigeon Forge, and Gatlinburg. Cradled by the Great Smoky Mountains, these three towns have much to offer and deserve a stop of at least two days. Sevierville is Dolly Parton's hometown. Fans of the country singer and actress may want to stop by the Sevier County Courthouse to see a bronze statue of the star. Other attractions include the family- friendly Wilderness at the Smokies, which features a resort, an adventure center and waterparks. In nearby Pigeon Forge, Dollywood draws thousands of visitors. The fun includes roller coasters and other thrill rides, numerous concerts, shopping and dozens of craft demonstrations, including blacksmithing and glassblowing. Gatlinburg features Ripley's Aquarium of the Smokies, Ober Gatlinburg Ski Resort and Amusement Park, and other attractions. While in town, diners should sink their teeth into one of the fantastic sandwiches at Parton's Deli. South of town--and definitely worth the short trip--is Great Smoky Mountains National Park, a UNESCO World Heritage Site. A stop by Sugarlands Visitor Center, two miles south of Gatlinburg on U.S. 441, provides information about hiking, camping and other activities in teh scenic Smokies. The Tennessee trek continues via U.S. Highway 321 through Greeneville and leads travelers back to the tri-city area, closing the freewheeling loop around the eastern half of the Volunteer State. For information on the Discover Tennessee Trails & Byways program, an initiative of the Tennessee Department of Tourist Development, log on to www.TNtrailsandbyways.com. For maps, TripTik routings, TourBook guides and other trip-planning assistance, contact a local AAA Travel agent or visit AAA.com/travel.